LifePoint Health and RCCH HealthCare Partners announced Monday the health systems have signed a definitive agreement to merge to create a company with more than $8 billion in combined revenue in 2017. 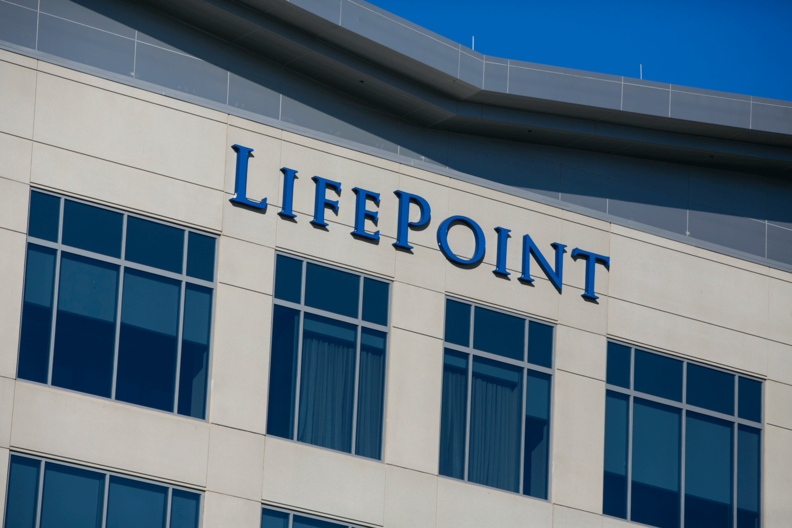 Brentwood, Tenn.-based LifePoint's shareholders will receive $65 per share in cash once the transaction is closed, resulting in a $5.6 billion purchase price, including $2.9 billion in net debt and minority interest. RCCH is owned by funds managed by affiliates of private equity firm Apollo Global Management. LifePoint and RCCH operate hospitals, post-acute service providers and outpatient centers. Together, they'll have 84 non-urban hospitals in 30 states, regional health systems, physician practices, outpatient centers and post-acute service centers. The company will also have 7,000 affiliated physicians, about 60,000 employees and more than 12,000 licensed beds. LifePoint's current chairman and CEO, William Carpenter III, will hold those titles with the resulting company, which will remain under the LifePoint name. The purchase price represents a premium of approximately 36% on LifePoint's closing share price on July 20, the last day of trading prior to Monday's announcement, according to LifePoint. LifePoint's share price jumped 40% in after-hours trading on Friday after news that the hospital chain may be acquired by Apollo.